Alive and Young: What's On My Running Playlist? I've been toying with the idea of entering a half marathon. Something I have not done since I tore cartilage in my hip, and since then it has been a slow road to recovery. I find myself having to spend more time stretching and warming up and cooling down than I did before the injury some 5 or 6 years ago. As I get back into training, I do 6 miles several times a week at a leisurely 10:00 min mile. Far slower than my pre injury time of 8 min mile. I find myself debating over the usefulness, or lack there of, of listing to music while running. There is a great debate over the advantages and disadvantages of listening to music while you run. 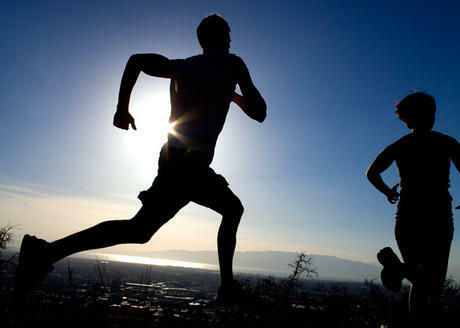 Runner's World has even included a number of articles on the pros and cons of such practices. Some of the pros include motivation and distraction from the actual process of running. Some of the cons include danger if running on the street and being distracted form the running process by not listening to your body. My current Delemma is that I actually run longer than the time of my play list. So I'll have to add a few songs in the coming days. If you have any suggestions of good songs to add, please leave a note int he annotations. I don't recall where I got the images from. I closed the browser before making note. None of the images are mine.